It’s been a fun and fulfilling two-plus years getting INVISION off to a strong start and learning about this fascinating field. 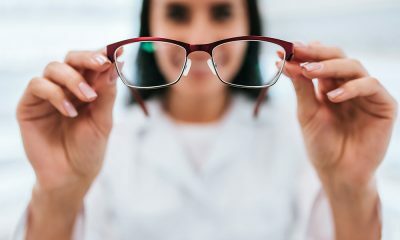 The best part of the job has been working with you, our readers (and especially our fabulous Brain Squad members), to create a new kind of magazine that celebrates eyecare professionals and helps you build your businesses. I arrived on this job with deep experience as a writer and editor, but I knew little about the eyewear and eyecare industry. My successor, Deirdre Carroll, has worked in the optical trade media for a decade, and she comes to INVISION eager to use her strong industry knowledge to keep INVISION a must-read for all eyecare pros. You’ll hear from Dee in this space next month, and I’m confident that I’m leaving the magazine in good hands. Editor’s Note: Well, Hello There!